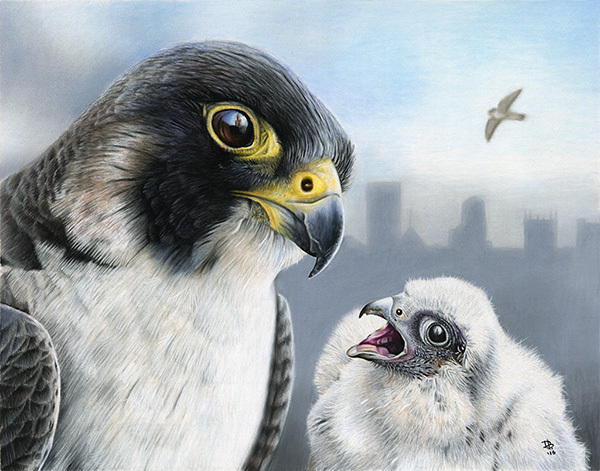 My latest pastel pencil drawing, “Peregrines Over Pittsburgh,” made in August 2016. 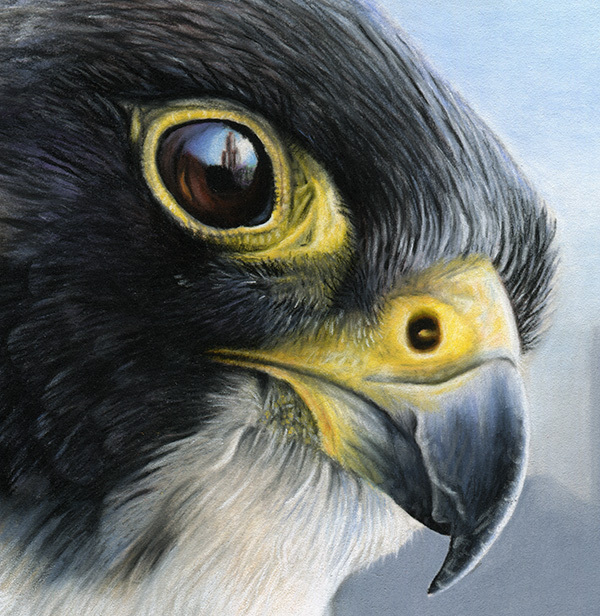 I’ve been watching our city’s peregrine falcons for 6 years now, both on webcam as they mate, nest, and raise chicks atop the Cathedral of Learning (seen in the reflection within the eye) and downtown (hence the skyline), as well as in person once the nestlings fledge over Oakland. I consider them to be Pittsburgh’s second avian mascot (behind the Penguin of course) and my favorite creature in the city. 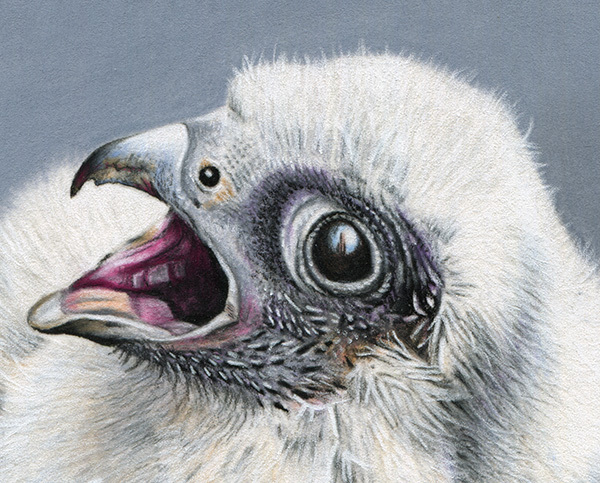 Buy prints of this piece HERE.